We've had very blue skies, lately. This was taken on the drive to San Diego, last week. You can see some wispy clouds and a bit of fog clinging to the hills. Ah, so this is what it look like to drive southward to San Diego. Hope I get to see it for myself one day! Beautiful. I love the Pacific Coast Highway, all the way from our border to San Diego. Lovely capture, Jan! 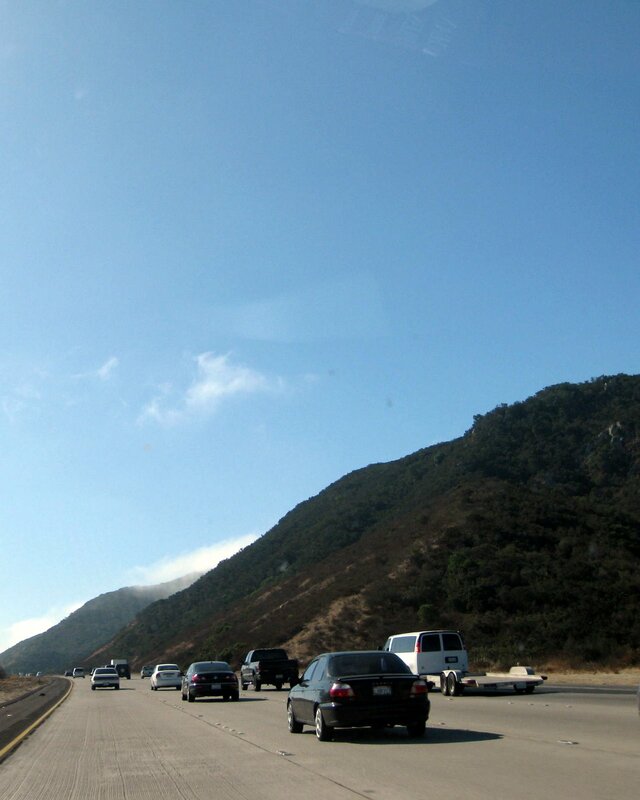 Beautiful skies and I, too, love the Pacific Coast Highway! Happy SWF! Hope you have a lovely weekend! That is such a lovely drive! Great capture! Great shot. My eye went right to the whisp of a cloud hanging over the hill. I saw the bit of fog first! Great shot for Skywatch. No doubt someone else was doing the driving when you captured this wonderful scene. We noticed on vacation that the west had much better skies than Wisconsin gets. Nice blues!